In doing so, Haley has managed something unique. She leaves the Trump administration with her reputation not merely undiminished but actually enhanced. She's popular with both pro- and anti-Trump factions on the right, and with shockingly high numbers of independents and Democrats. She has a long list of accomplishments under her belt and no embarrassments or scandals. She is almost certainly the most popular politician in America. OK, full disclosure: I'm biased and conflicted. I'm biased because I am a fan of Haley. I'm also conflicted because my wife, Jessica Gavora, works for Haley as her speechwriter and adviser. While I'm at it, let me also say that one of my wife's more admirable (and annoying) traits is that she never tells me the cool stuff. For all I know, she's got the 411 on what's going on at Area 51. So if there's some secret scandal or devious plan behind Haley's resignation, I don't know what it is and neither does Jessica -- unless she's lying to me. Also, Trump likes hiring prominent critics in order to make them acknowledge his victory over them. Others say he wanted to unite the party. Recall his overture to sharp Trump critic Ohio Gov. John Kasich to be his running mate. Trump ultimately picked Indiana Gov. Mike Pence, who'd technically endorsed Ted Cruz in the 2016 primaries, even if he spent most of his time man-crushing on Trump. 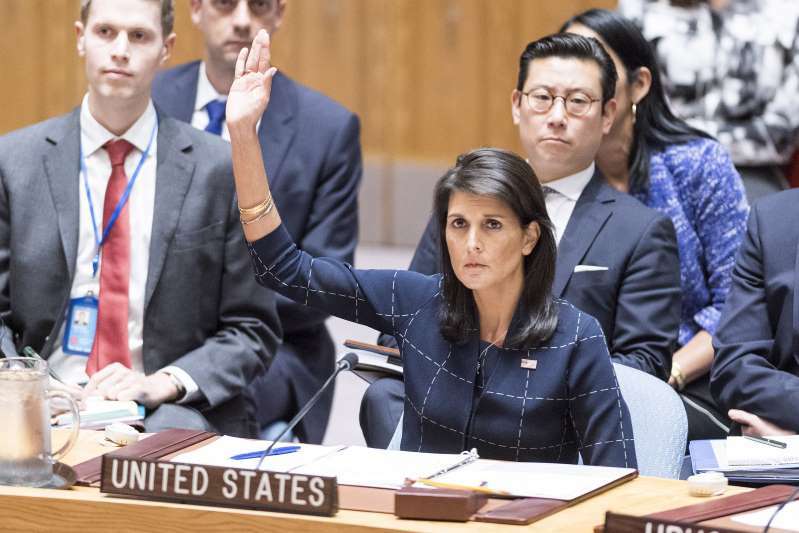 Because it's a foreign policy post, Haley didn't have to weigh in on every Trumpian controversy. But when she did -- on the "Me Too" movement, Russian meddling, etc. -- she did it in a way that differentiated herself from Trump and his sycophants without seeming disloyal or mealy-mouthed. Haley made it all look easy, in part because she's a good politician -- a daughter of Indian immigrants in a state renowned for ugly politics who managed to win two governor's races.